Amid escalating tensions, the Turkish government has approved nearly $6 billion in defense programs, largely aimed at increasing Ankara’s own military production capabilities. “Today, we approved $5.9 billion worth of new defense projects. Around $4.5 billion worth of these projects will consist of local production,” Prime Minister Ahmet Davutoglu said after a meeting with Turkey’s Defense Industry Executive Committee on Thursday. The announcement comes as Turkey increases its military export industry. In the first two months of this year, defense exports have already risen by 35%. The new programs will cover a large swatch of the defense sector. In addition to Turkish-made infantry rifles, which Davutoglu indicated will go into serial production later this year, the money will also go toward the development of more advanced weaponry. 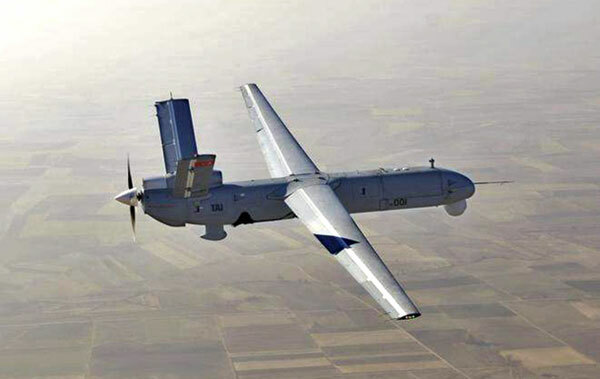 One such product will be the Anka (photo), a medium-altitude, long-endurance drone developed by Tusas Turkish Aerospace Industries (TAI). The UAV underwent successful test flights last month, reaching an altitude of 19,000 feet, and the company will soon move the aircraft into mass production. TAI will also be involved in the production of T-129 attack helicopters, in association with Italian-British AgustaWestland. Ten of these helicopters were delivered to the Turkish Army last year, and Ankara plans to purchase 17 additional units. Davutoglu also said that the money will support efforts to produce the engines used in the T-129s. While the new agreement is focused on exports, the Turkish government is still spending heavily on military imports. Earlier this month, the Pentagon authorized a $682.9 million contract to provide Ankara with an undisclosed number of smart bombs.